Those outdated billboards in Google Street View are not just outdated, but they’re an opportunity for Google, who has filed a patent entitled “Claiming Real Estate in Panoramic or 3D Mapping Environments for Advertising,”. 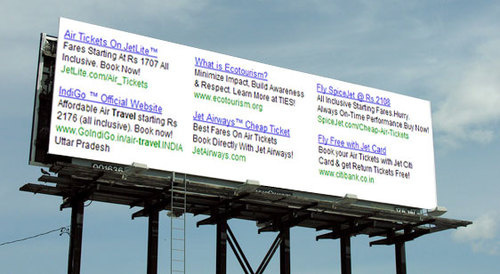 The patent should allow them to cut out billboards shown in Street View and replace them with their own current ads. Apparently this would be done by working with whoever owns the space. For instance a theater owner could keep the posters out front up to date at all times. We can’t think of any other way in which this would work, since they are putting ads on other people’s property without permission. It’s an interesting move by the big G.
Want to find a local coffee shop? Maybe you need a new restaurant. As usual, Google can help. 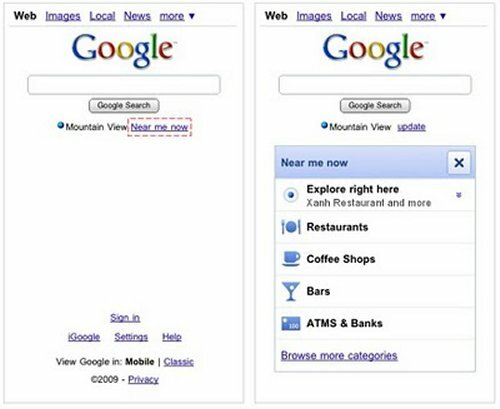 The big G has introduced local search for iPhone and Android phones. Now when you’re on Google’s page on your mobile browser, just hit the “near me now” link to bring up search results that are near your location. Find coffee and ATMs easily at long last. Pretty soon we will get completely lost without our phones to the point where we will be zombies during service outages. Google is expected to release it’s own mobile phone in a press conference schedule for today, going by the name of Nexus One. The new phone will be the first to actually be sold by Google and will also run Google’s very own Android software stack for mobile devices. 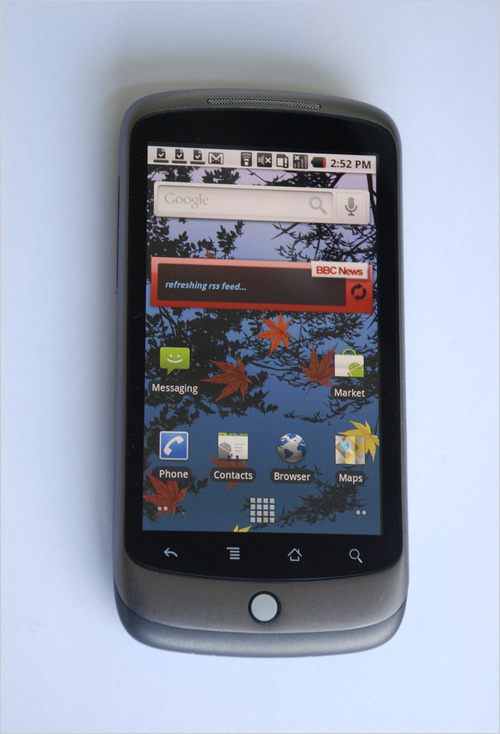 The Nexus One is rumored to also become available through the T-Mobile and their wireless carrier network in addition to the unlocked version direct from Google. The Android software has already been available on a number of mobile phones starting back in 2008 with a device from HTC. The device Google is introducing today is expected to also be from HTC, touting a 3.7 inch touch screen, 5-megapixel camera and a Snapdragon processor. 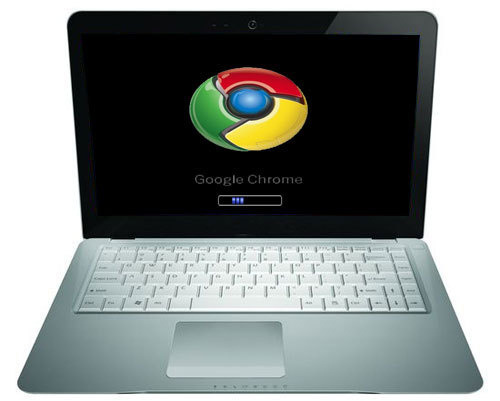 The specs for Google’s Chrome OS netbook have leaked. Spoiler alert: It’s looking good. Apparently the Google netbook will pack the Nvidia Tegra platform with an ARM CPU. Some other specs include a 10.1″ multi-touch HD screen, 64GB SSD, 2GB of RAM, Wi-Fi, 3G, Bluetooth, a webcam etc. Google branded Chrome OS gBook on the way? There may be a Google-branded netbook on the way soon. 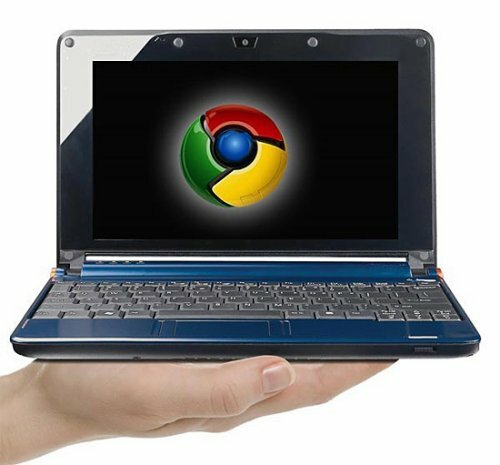 Google has been talking about working with a bunch of manufacturers in order to be sure its Chrome OS runs well and now on top of that, multiple sources say that Google will hire an unnamed netbook maker to build a device specifically for Chrome OS. Word is that we might see this gBook as soon as next Christmas. And by that time there will be more tiny and powerful processors to choose from, which will give this net-connected laptop some real power. 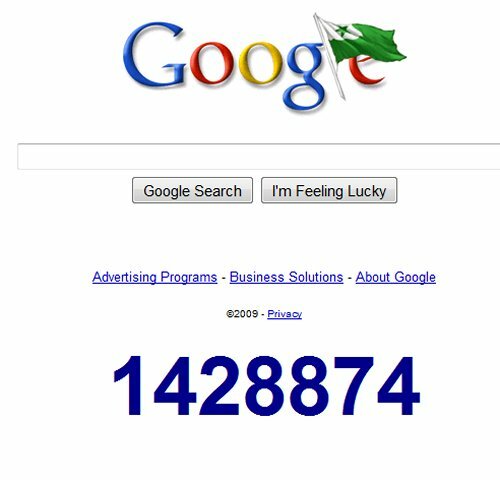 Has anyone noticed the somewhat hidden countdown timer on Google’s main page? You don’t see it until you hit the “I’m feeling lucky” button without anything to search for. Then it mysteriously shows up. In US time, the timer ends at the New Year, but obviously that isn’t it. What else is going on with Google that they might want to announce? The launch of the Google Nexus One perhaps? That’s what our money is on. Well, now we know that the Google Nexus One exists. Perhaps there really is a Santa Claus as well. 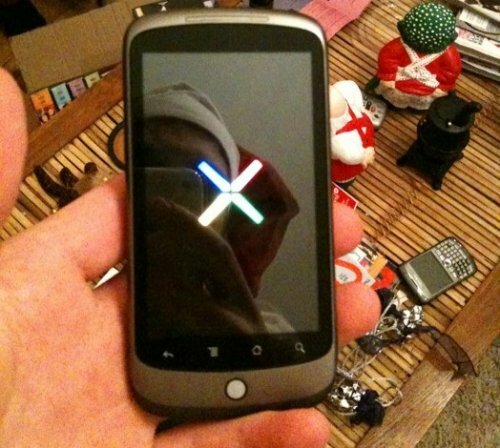 This higher resolution picture is supposedly the Nexus One and is the talk of the internets. Check out this awesome Google Chrome commercial. They are really on to something here the way they have unleashed this one. And of course we always suspected that behind the scenes, rubber bands and hammers and stuff all make the Google machine invincible. It’s not only creative, but kinda informative as well. Most importantly it’s fun to watch. Google has taken over the rest of the world, so maybe artsy fartsy movies will be next. So let me ask you, does this clever commercial make you want to use Chrome even more, or not? Looks like Google’s Chrome OS will be getting some support from Dell. The company is making an experimental version of the Chromium OS available for its Mini Inspiron 10v netbook. The OS will be available as a USB key image file, but they are warning users that it’s a risk since it has only gone through minimal testing. Some of the current known problems include taking up to 10 minutes before the network connection manager can find wireless networks and other things freezing as well. The 8GB image can be transferred to a USB drive only by using a Linux system. Sergey Brin says that “Android and Chrome will likely converge over time.” It’s unclear when this might occur though. In fact, Google CEO Eric Schmidt attempts to downplay the difference between Google’s operating systems in a recent CNET interview, which makes us wonder if Google has a clear idea of where this is going. Schmidt prefers not to “prejudge the success” of each. “The future will unfold as it does,” he says, and the open-source community will determine the natural fit. I guess we will just have to wait and see what happens. Google is doing just fine in the search business, so no one would blame them if they just left things as they were and kept raking in the dough. But it’s nice to see that the search giant is still paying attention to details and willing to try some new things. 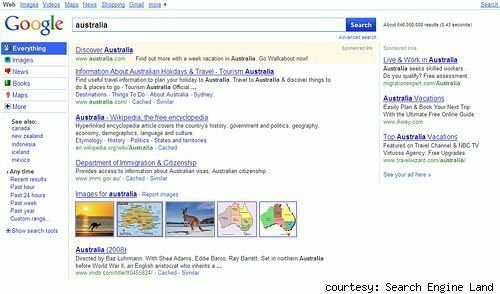 Google’s vice president of search product and user experience recently stated that Google will soon begin testing of a new permanent sidebar on its results page. The new version allows you to narrow a search to specific categories, and is more attractive. Plus, the sidebar will be, conveniently and permanently displayed on the left side of the page. 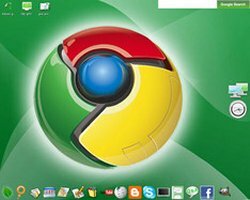 We now have more details about the Google Chrome OS, which is a stripped-down Linux that should boot very quickly and launch a browser (Chrome). Everything that you do is web-based. Apparently users will have to buy a Chrome OS machine if they want it. 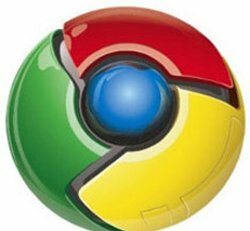 Chrome will run on Intel and ARM processors. According to Google it’s secure because the data is stored on a remote server, however if someone gets your password, well they have access to everything. They do say that Apps are more secure, because they have access to nothing, just like web apps on other OS. Most people have dismissed the once rumored phone as being the Google Android operating system, but word on the street is that Google has an actual piece of hardware is in the works. 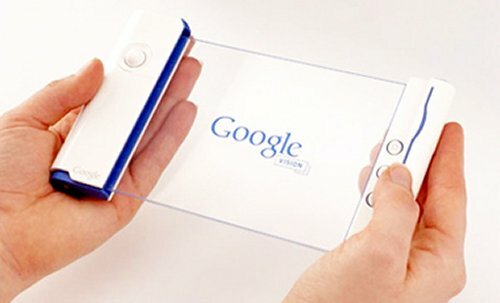 Apparently Google has an actual phone in the works. And apparently the Google Phone will be even more exciting than the Motorola Droid, which is really saying something. Google won’t manufacture the handset, but will rely on a major mobile company while Google is in full control of design and specifications. Google has updated it’s Google Earth iPhone app. The updates come about a year after the original Google Earth iPhone App was released. 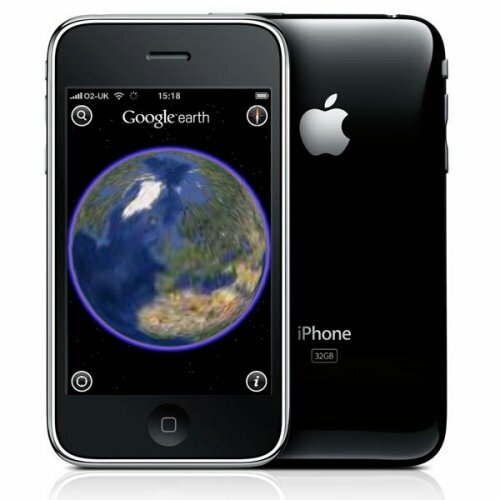 Google Earth 2.0 will play nice with the iPhone and iPod Touch, and the new version has a bunch of new features, like the ability to view maps that you create on your PC on your iPhone or iPod Touch. That one should prove most convenient. Another feature is the updated icon selection, which makes it easier to use. When you touch an icon on the app it will glow, and if you touch more than one icon at once it will take you to a list of icons so you can select the right one. 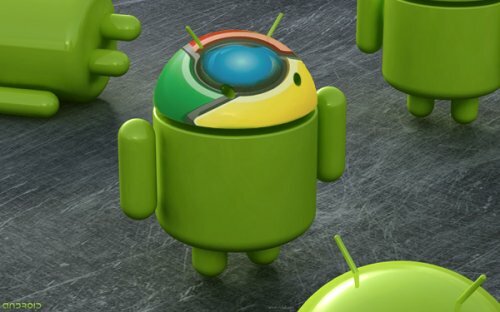 Google’s Chrome first announced in July, will be available within a week. Google had previously said to expect an early version of the OS in the fall. Driver support will probably be a weak point, but apparently Google has a legion of engineers working on building hardware drivers. Word is that Google is mostly relying on hardware manufacturers to create those drivers. In any event functioning drivers is important to Chrome OS’s success. Soon we will find out how well it works.